Welcome to our review of the best stovetop espresso makers. Stovetop espresso makers, also called Moka pots, have been around for many years and in the coffee loving nation of Italy, they are a standard feature of every kitchen. They are actually very simple devices, consisting of a series of chambers through which hot water filters through the ground coffee and leaves you with the perfect espresso style coffee. Of course, these days, you can get a cup of coffee in an instant, but coffee experts say that if you want to experience the true, full-bodied, flavour of an espresso, you need to have a stovetop espresso maker. So, to help you find the taste of Italy in a cup, here’s our review of stovetop espresso makers. This is the classic stovetop espresso maker that has been on the market for more than 80 years. If you are looking for the best traditional Italian stovetop espresso maker, then the Bialetti stovetop espresso maker is definitely the one for you. You just can’t beat it for ease of use, simplicity, and the great tasting espresso that it produces. The Cuisinox Roma stainless steel stovetop espresso maker takes the traditional Italian espresso making craft and brings right up to date with beautifully designed, stainless steel Moka pot that would look great in any contemporary style kitchen. If you are looking for a stylish looking stovetop espresso maker that will make 6-10 cups of rich espresso perfectly, then take a closer look at the Cuisinox Roma. For a more convenient way to make espresso there is the Delonghi EMK6 Alicia Electric Moka espresso coffee maker. Auto power-off and your coffee kept hot for up to thirty minutes are just two of the benefits of this top of the range electric espresso maker. The Delonghi EMK6 is the perfect mixture of tradition and modern convenience for coffee lovers and connoisseurs. A stovetop espresso maker, or Moka pot, is a very simple piece of kitchen equipment that will make espresso in the traditional Italian way, but the design and the quality of even the best stovetop espresso makers can vary quite considerably. 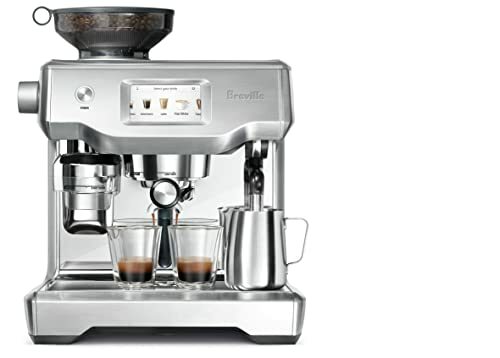 Naturally, your budget will be one of the factors that will drive your decision and, if you don’t make espresso very often, there are some very good, budget espresso makers available. In addition to the price, there are some other important factors to consider as well, so here the main things to bear in mind when choosing the best Moka pot for you. One of the first things you want to look at is how many cups of espresso can a stovetop espresso maker make at one time. The capacity of espresso makers can vary from just a single cup to ten or more cups, so think about the number of cups that you will need from each pot. You should also be aware that some models can’t be used to make less than the full capacity of the coffee maker. Some people would say that the best stovetop espresso makers come from Italy, because just about very single household in Italy has at least one Moka pot. If you do want an authentic espresso maker, then an established Italian brand like Bialetti would be your best option. The truth is, however, that even some of the most famous Italian brands of espresso makers now have their Moka pots manufactured in China or India. Stovetop espresso makers are usually made out of aluminium or stainless steel. Stainless steel looks shinier and more modern and it will be easier to keep clean, but aluminium looks more authentic. On the other hand, aluminium is lighter than stainless steel. Some people do have health concerns over using aluminium for cooking, though, but that is more related to when aluminium is used to cook acidic foods, such as tomatoes or citrus fruits. 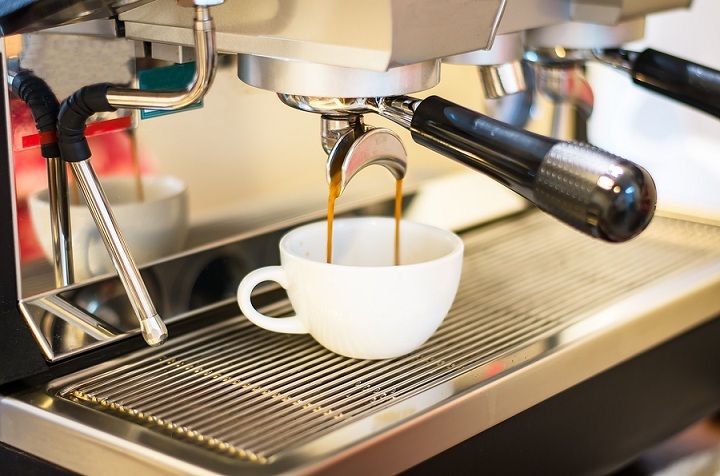 Aluminium stovetop espresso makers are usually cheaper than stainless steel models, but ultimately, the choice between aluminium and stainless steel will probably come down to aesthetics. What type of stove will you be using? Not all Moka pots are designed to work with electric stoves and some won’t work at all with an induction stove, so check the manufacturer’s specifications to make sure that your chosen stovetop espresso maker will work on your stovetop. On the question of price, the most popular of all the stovetop espresso makers is the very simple and basic Bialetti aluminium Moka Express, which you can purchase for well under $30 and which will make an excellent espresso and last you a long time. If you want something a little more stylish, probably made of stainless steel, the price will of course be higher. In this review, we are talking primarily about stovetop espresso makers, but we have included an electric espresso maker as a comparison. While electric espresso makers are undoubtedly more convenient to use, because they have features like auto shut-off, the traditional Italian stovetop espresso maker, arguably, makes better espresso. In our stovetop espresso maker reviews, we look at the most traditional of all the Moka pots, the Bialetti stovetop espresso maker, the modern looking stainless steel Cuisinox Roma, and the Delonghi EMK6 electric espresso coffee maker. Our recommendation for the best stovetop espresso maker, the Bialetti 6-Cup Stovetop Espresso Maker, is a classic stovetop espresso maker that has been on the market for more than 80 years. Its elegant style and simple design. The Bialetti Moka Express will make 6 cups of delicious espresso in around only five minutes. The espresso maker is easy to use, and taking it apart to clean it is very simple too. This espresso maker has the classic Bialetti octagon shape that has been around for years, and it is made out of high quality polished aluminium that looks wonderful. Making espresso with this model is very simple. You simply add water to the lower chamber, fill the funnel with ground coffee, and place the Moka pot on the heat. We found that you don’t need to tamp the coffee with this model, and you definitely get the best flavour if you use a low heat. You really can’t beat the Bialetti Stovetop Espresso Maker for authenticity. From the gurgling sound as the water flows through the coffee maker, to the wonderful aroma as the coffee brews, this is authentic Italian style coffee making, through and through. Like all stovetop espresso makers, you have to take care of the Bialetti stovetop espresso maker, and that means not letting it boil dry and not putting it in your dishwasher. However; what’s a little handwashing if you can get truly authentic tasting espresso every morning. Overall, then, we rate the Bialetti 6-cup stovetop Moka pot as the best stovetop espresso maker in its class. It gives you great tasting coffee and it looks so good too. The Cuisinox Roma 6-cup stainless steel stovetop espresso maker, which is a slightly more modern looking, stainless steel Moka pot. This stovetop espresso maker would be great for a family of coffee lovers, because it will make between 6 – 10 cups of perfect espresso every time. If you want a smaller version of this espresso maker, it also comes in a 4 cup size. The stainless steel construction of the Cuisinox Roma makes it easy to keep clean and the polished surface of the pot looks nice and modern. Like the Bialetti Stovetop Espresso Maker, the Cuisinox Roma should not be washed in a dishwasher, but coffee connoisseurs will tell you that Moka pots should only be cleaned with very slightly soapy water anyway. The Cuisinox Roma stainless steel stovetop espresso maker is a high quality product that is strong and sturdy, which is not something that can be said for some of the much cheaper stovetop espresso makers. It produces a rich and satisfying espresso that won’t disappoint. We found that with this model, a very light tamp was needed, but not too much, or the water won’t filter through the coffee properly. While the Cuisinox Roma may not have the authentic pedigree that the Bialetti stovetop espresso maker does, it still brews espresso on the traditional Italian way. Add to that its modern and sleek styling that will make it look great on any countertop, and you definitely have one of the good stovetop espresso makers on the market at the moment. In summary, the Cuisinox Roma 6-cup Stainless Steel Stovetop Espresso Maker is reliable, sturdy and good looking stovetop espresso maker that makes a fine testing espresso. For our final choice of buyer's guide, we thought it would be helpful to include an electric espresso maker as a comparison to the stovetop models, and for that, we chose the Delonghi EMK6 Alicia electric Moka espresso coffee maker. The Delonghi EMK6 Alicia electric Moka espresso coffee maker is 3-6 cup electric espresso maker that uses the traditional Italian Moka pot method for making espresso, but has the convenience of being electric powered. The EMK6 has an aluminium boiler at the bottom and a transparent coffee receptacle at the top, so you can watch the progress of the brewing coffee. The unit has an automatic shut-off and keep warm function, so when the brew is complete, the boiler turns off and your espresso stays hot, which is one of the big advantages that an electric espresso maker has over a stovetop espresso maker. The top section is also detachable, which makes serving the coffee easy. There is no doubt that the Delonghi EMK6 Alicia electric Moka espresso coffee maker has some advantages over the stovetop models, because you can just switch it on and leave it without any fear of the coffee burning. It’s also easy to clean and easy to use. Whether any electric espresso maker will ever be a replacement for the traditional stovetop espresso maker for the purist coffee drinker, however, is another matter entirely. The Delonghi EMK6 Alicia electric Moka espresso coffee maker is a well-made, modern electric espresso coffee maker that some people will find a lot more convenient to use than a stovetop espresso maker. It also makes a superb tasting pot of espresso! The basic design of a stovetop espresso maker is the same for all models and has changed very little through the years. There is a chamber at the bottom, in which the water is heated, there is a filter funnel in the middle, into which the ground coffee is placed, and then there is a pot at the top, in which the brewed coffee is held. Here is a quick guide to making the perfect espresso with a stovetop espresso maker. Take the Moka pot apart and then fill the bottom chamber with cold water. Some people recommend using pre-heated water, because it stops the coffee cooking before the water begins to filter through. We would suggest that you try it with hot and cold water and then decide which you think tastes the best. Add your ground coffee to the filter section, making sure that you wipe any spilled grounds from the edges of the filter and the seal. Most people recommend that you don’t tamp the coffee, which means that you don’t pack it down inside the filter, but some models of stovetop espresso makers do benefit from a light tapping of the coffee to even out the distribution of the grounds. Seal the chambers together tightly and you are nearly ready to go. Make sure that the chambers are sealed together properly or you will not get the best flavour and the coffee may leak out of the pot. Now you can place your stovetop espresso maker on the stove to heat. It is best to use a low heat and, if you are using a gas stove, have the gas low enough so that the flames do not come up the sides of your Moka pot. Slow brewed espresso will have much more flavour and there will be less likelihood of any leaks and spillage as well if you keep the heat low. When the brew cycle has finished, take your stovetop espresso maker off the heat and enjoy your espresso! It is important not to leave a Moka pot on the stove for too long, because it will impair the flavour and it will also damage your espresso maker. Stovetop espresso makers don’t require any special maintenance, because they are so simple in design. There are a few things, however, that you can do to make sure that your Moka pot will last you a long time and give you great tasting coffee. Here’s a quick guide on how to take care of a stovetop espresso maker. When the brewing cycle has completed, remove your espresso maker from the stove. Leaving a Moka pot on the heat for too long will damage it and it will ruin the flavour of the coffee. Don’t use strong detergents to clean your Moka pot, because you will be able to taste the detergent in your coffee and it may also corrode the metal. Most models of stovetop espresso makers are not dishwasher safe, so unless you are 100% sure that yours is dishwasher safe, don’t put it in the dishwasher. Coffee experts say that a build-up of coffee oils in a Moka pot improves the flavour of the coffee. Most makers of Moka pots recommend using nothing more than a solution of lemon juice and vinegar to clean a stovetop espresso maker. That will remove any limescale, without corroding the metal. The only parts you may need to replace in a good stovetop espresso maker are the gasket, filter plate and safety valve. It’s advisable to check on the availability of these parts before you buy a Moka pot. In this review article, we have given you a broad view of the options available, from the traditional Bialetti stovetop espresso maker, through the more modern looking Cuisinox Roma stainless steel stovetop espresso maker, to the Delonghi EMK6 Alicia Electric Moka espresso coffee maker. Each one has its own benefit’s, and each one makes a wonderful pot of espresso. Our own personal favourite is the Bialetti, because it is so simple, so easy to use, and absolutely steeped in the age-old Italian coffee making tradition. Whichever of these wonderful Moka pots you chose, we hope that this review of espresso makers will help you decide on which stovetop espresso maker will be the best for you.